The NYPD is on the lookout for the wrongdoers who stole an MTA bus and took it on a three hour voyage – the third infamous heist just in the past month. The thief boarded the unattended passenger bus that was parked on 165th Street and South Road Jamaica at around 3 a.m. Tuesday. The missing bus was tracked for over three hours via GPS and was found almost 8 miles from where it was originally parked as it had traveled from Queens to Brooklyn. It was found undamaged at an intersection on Liberty Avenue and Conduit Boulevard in Cypress Hills by an MTA worker. The stunt was the most recent among three others just this past month. Six teens were found to have stolen an empty MTA bus on Dec. 23rd where it was parked in the Bronx and brought into Queens. However, their three-hour ride ended only half a mile away from where they began. 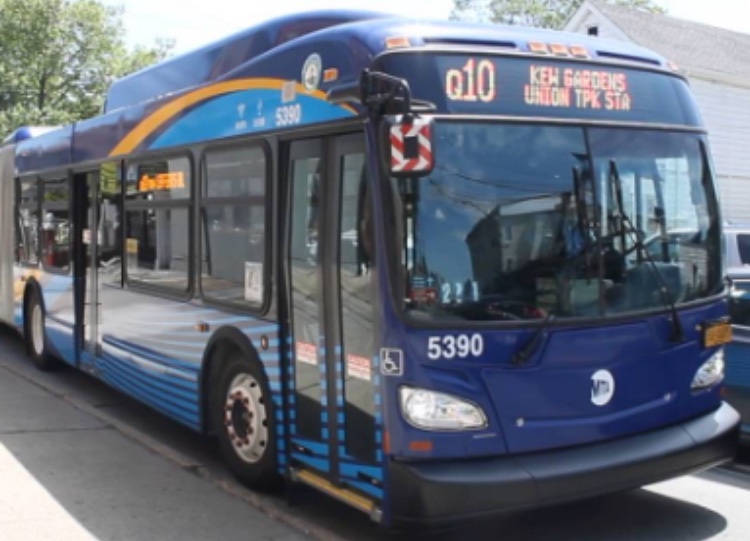 That same day, another group drove an MTA bus out of a bus depot for a 1 ½ mile cruise. The bus was found on Conduit and Atlantic Avenue in Cypress Hills, also where the most recent bus heist was recovered. My name is Sukhman Kaur and I write for the General News section for the Edison Light. My hobbies include cooking, dancing and traveling. I like being aware of what’s going on around me and I hope to provide you all with occurring news to keep you updated too.